As women, we’ve all felt a creepy presence on our runs. That guy who stares a little too long. A car following slowly behind you. Perhaps a man outright catcalling. 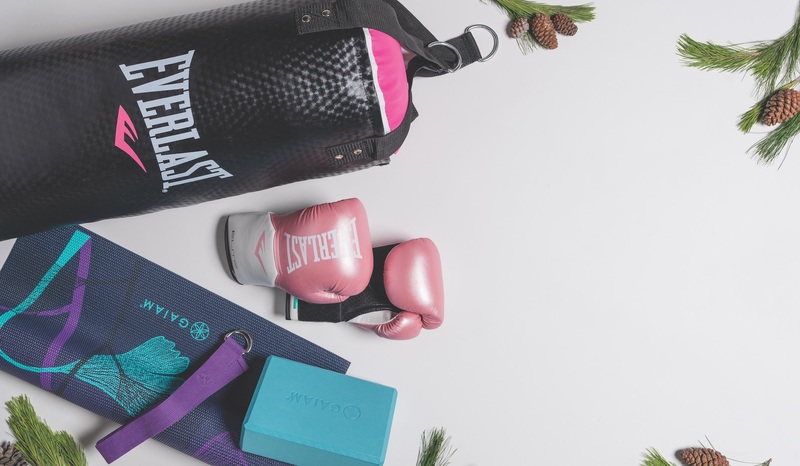 It is difficult to ignore these interruptions to our daily runs, so much so that many women have questioned their own self-defense preparedness. That’s why TASER Self-Defense has launched a new device that can make self-defense easy. Yes, TASER. Like the kind police carry. You can buy one. And the TASER Pulse+ was designed with you in mind, meaning the tool is simple to use and carry on your run, safe to own using less-lethal technology, and proven to be effective. This new device can knock down an attacker and override their muscular control for 30 seconds from a distance of 15 feet. 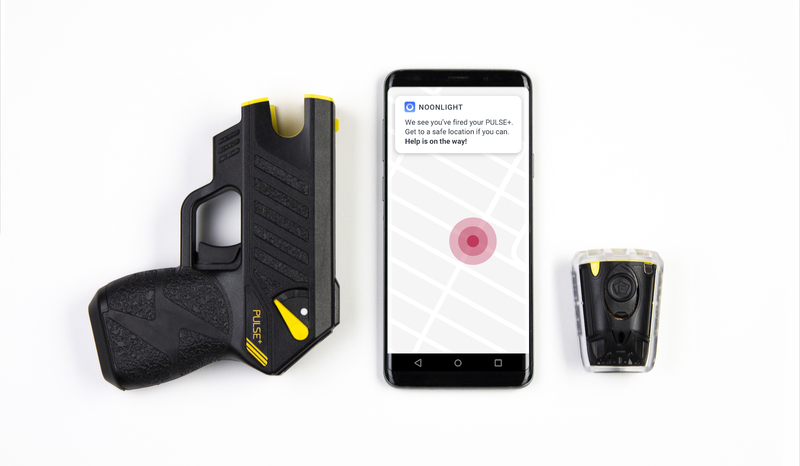 Best of all, TASER partnered with Noonlight when designing the new TASER product, so if you fire the Pulse+, Noonlight’s mobile app will notify 911 and send law enforcement to your GPS location. All you have to do is pull the trigger, drop your device, and get to safety while Noonlight automatically connects you with 911. It is a huge advancement in self-defense technology at a moment when many of us feel we need it most. We don’t like thinking about self-defense. It can be scary, but the good news is that The Brennan Center for Justice recently found that the overall crime rate, violent crime rate, and murder rate all dropped in 2017. According to their analysis, the nation’s 5 largest cities reduced their murder rate by an average of 10.8%, while the top 30 cities averaged a 5.6% reduction. These statistics fit into a larger trend: Violent crime in the United States has been steadily dropping since the early 1990s. But despite evidence that the country is becoming safer, many runners believe that they may be at greater risk of crime and violence, particularly as tragedies continue to shake the running community. These incidents of seemingly random violence contribute to a general feeling of uneasiness when heading out for a run. Gallup has been monitoring the public’s perception on the nation’s crime rate since 1989. In 2017, 68% of respondents to a national survey indicated a belief that crime had risen. 40% of respondents believed that their own community was more dangerous than the previous year. What is observed above is known as the “fear of crime” paradox; despite the relatively low statistical risk of victimization, Americans feel the opposite. This fear is understandable, particularly by women, who are more frequently exposed to street harassment and more likely to become the victims of sexual assault. Attacks, harassment and crime are often unexpected and devastating, both emotionally and physically. Break-ins, for instance, rob people of more than just material goods; they shake the belief that their homes are safe spaces for their family. Street harassment steals the endorphin rush of a person who is simply trying to unwind from a hectic day. Fear is often used as a weapon to exploit others and force an imbalance of power. What, then, can runners do to bring back the confidence needed to relinquish fear? First, invest in a self-defense tool, like the TASER Pulse+, that fits your lifestyle. We’re not all comfortable toting a gun or fighting bad-guys like Charlize Theron in Atomic Blonde. With this civilian TASER device, you don’t have to be. It is sleek and fits into leggings and running belts. Most importantly, it can be deployed from 15 feet away, and can knock an attacker down for 30 seconds, giving you a chance to get to safety. Tools like the TASER Pulse+ can bring the confidence to address and deescalate a threatening situation should you encounter it, freeing your mind so you can focus on setting a new PR. Second, understand your risk and maintain good security habits. Do some research on your community. A simple Internet search can bring a ton of insight on your risk of encountering crime. Start a running club—running in groups is not only safer, but a ton of fun. If running solo, consider ditching the earbuds or switching to bone-conduction headphones that keep your ears open. Diversify your running routes, but make sure they are in populated and well-lit areas of town. These commonsense practices are too often ignored. They are simple to implement, but are essential to ensuring you feel safe at home and on the town. Finally, explore cross-training with self-defense classes in your area. Learning what you can do with your own body is incredibly empowering. Though it is statistically unlikely that you’ll encounter a situation necessitating hand-to-hand skills, self-defense and martial arts classes help you find the power hidden within you. If you’re competitive and want a sporting aspect, check out your local boxing, mixed-martial arts or Brazilian jiu-jitsu gyms. There’s no easy solution to stopping attacks on runners. It takes policymakers, law enforcement agencies, running communities and self-defense companies like TASER to work together to minimize the likelihood of being attacked. But that doesn’t mean that efforts aren’t making a difference today, and it certainly doesn’t mean your fear is misplaced. Hopefully, though, the statistical trends, alongside the suggestions above, will help ensure you can approach life with confidence and not let fear hold you back from accomplishing your goals. TASER Pulse+, and TASER are trademarks of Axon Enterprise, Inc., registered in the US and other countries. For more information, visit www.axon.com/legal. All rights reserved © 2018 Axon Enterprise, Inc.
Noonlight is a trademark of SafeTrek, Inc.